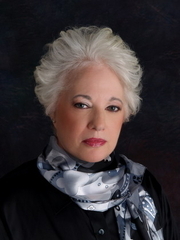 Ruth Burtnick Glick writes Young Adult's books, cook books and romance books as Ruth Glick. Alyssa Howard is the pseudonym used by the writing team of Ruth Glick, Eileen Buckholtz, Carolyn Males, and Louise Titchener. Tess Marlowe, Alexis Hill, and Alexis Hill Jordan are three different pseudonyms used by the writing team of Ruth Glick and Louise Titchener. Amanda Lee, Rebecca York (until 1997), and Samantha Chase are three different pseudonyms used by the writing team of Ruth Glick and Eileen Buckholtz. Pseudonyms that represent multiple authors should not be combined with any single author's author page. GLICK, Ruth (Burtnick), 1942- wrote Invasion of the Blue Lights. Ruth Glick is currently considered a "single author." If one or more works are by a distinct, homonymous authors, go ahead and split the author. Ruth Glick is composed of 2 names. You can examine and separate out names.